Dr. Harshal Belokar is a Dentist and Implantologist in Kharghar, Navi Mumbai and has an experience of 13 years in these fields. Dr. Harshal Belokar practices at Dr. Belokar's Dental Clinic in Kharghar, Navi Mumbai. 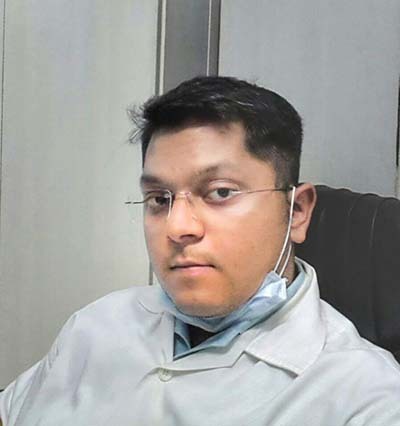 He completed BDS from Government Dental College & Hospital, Nagpur in 2004, Certification in Full Mouth Rehabilitation from New York University - College of Dentistry in 2005 and Certificate in Dental Implants from opus dental specialities in 2015. He is a member of Indian Dental Association. Some of the services provided by the doctor are: Dental X-Ray, Teeth Whitening, Conservative Dentistry, Surgical Tooth Extraction and Full Denture (Acrylic) etc. Dr. (Mrs) Seema Belokar is an Implantologist and Cosmetic/Aesthetic Dentist in Kharghar, Navi Mumbai and has an experience of 4 years in these fields. 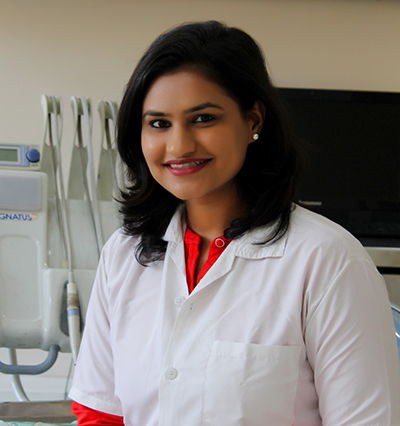 Dr. (Mrs) Seema Belokar practices at Dr. Belokar's Dental Clinic in Kharghar, Navi Mumbai. She completed BDS from BHARATI VIDYAPEETH'S DENTAL COLLEGE &HOSPITAL PUNE in 2013 and Fellowship in Oral implantlogy from Yerala Medical Trust Research Centres Dental College Hospital in 2015. She is a member of Indian Dental Association. Some of the services provided by the doctor are: Osseointegrated implants, Gap Closing, Advanced surgery in Implantology, Implant Supported Denture Fixing and Implant Prosthesis etc. Dr. Ninad Belokar is a Dentist and Implantologist in Kharghar, Navi Mumbai and has an experience of 8 years in these fields. 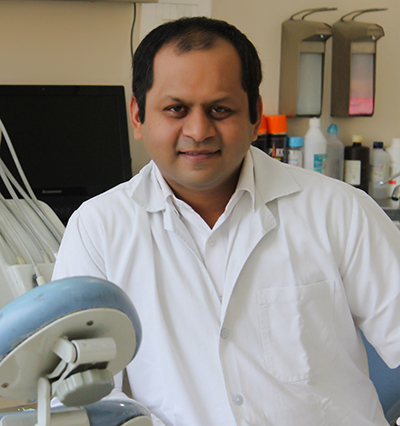 Dr. Ninad Belokar practices at Dr. Belokar's Dental Clinic in Kharghar, Navi Mumbai. He completed BDS from Yerala Medical Trust Dental College & Hospital, Kharghar in 2010. Proficient in Full Mouth Flap Surgery & Periodontal Surgical Procedures. He is a member of Indian Dental Association. Some of the services provided by the doctor are: Dental X-Ray, Periodontal Surgery, Conservative Dentistry, Surgical Tooth Extraction etc.